So last weekend, in the mornings and noons, I had no problem playing warships whatsoever. Till prime time kicked in, then I had major lag, packet loss and it was just unplayable, so I quit. Next day same thing, and yesterday too. So today I log in and what do I see? I got pink for 3 battles because "I quit the battle too early"... well I would play out the battle if I was not disconnected every 2 minutes! (yesterday's last battle I played, after the first DC I never reconnected because of the multiple DC's I had the battle before) So why am I having connection issue's only in prime time? (for me that is 5pm-10pm GMT+1) And am I the only one having these issue's or are there more players? if so, can it be fixed? Because I'm thinking of shelving this game for a while (again) till this is fixed. because getting pink for unintentional DC's isn't fair! PS: I'm sorry if I put this thread in the wrong topic, I'm seldom on forums. edit: What I also tried to minimize the lag; change the graphic settings from medium to low, changed alternative battle view from always visible to off (the alt) but still I got lag, packetloss and dc's within prime time. Hello guys! Nice to see you there! Were you waiting for our second issue? We too! And now it's done! So, just right now click on the magazine's cover below and read it! Also, there is some useful information for you below. [CLICK HERE TO DOWNLOAD THE MAGAZINE] Our second issue is focused on Japanese aircraft carrier Zuikaku. Chester W. Nimitz was very happy to hear that Zuikaku was sunk. Why? Read our magazine!We hope, you will find a lot of interesting information: from the development history to the two Japanese admirals… Still uninterested? Then, take part in our contest and win Gold for your WoT or WoWP account! 12,500 Gold are at stake! You will find the rules of the contest below the spoiler. Our team hopes you enjoy the project. As such, please write your feedback to our forum thread: it would be a great help of yours for us! Alas, no more words from me. Just keep reading! Zamu. Download issue for forum-uploaded mods? It's come to my notice that some can't download my mods from the forum links, but others can. Does anyone have a clue as to what this issue is about? Is WG on it? Wellcome. I wish to report a terrible bug which prevents me from use one of my ships. A little time after loading into battle game has crashed. Of course after restart ship has been locked, because it was in battle. Problem is, that game is not unlocking it since more than hour (one battle takes about 20 minutes, so I'm sure that this battle has been ended), so my ship has been locked permanently. I hope you can do anything to unlock this ship or just remove it from slot. 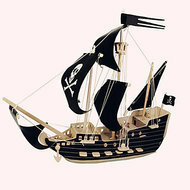 Edit: After second restert of the game ship has been unlocked. So problem is solved. Hello, I purchased HSF Graf Spee last month, and to complete my collection of HSF ships, I bought HSF Harekaze as well. However I realized something a few days after I bought Spee, when the voice command update was introduced, the new voice commands have no HSF voice over. This means when me or someone else issues voice commands, it is in normal voice over, but the background notifications like 'Torpedoes ahead' or such are still in HSF voice. I looked for topics addressing this issue, found one and couldn't view it due to this error: 2F173/O. So I hoped this would be fixed in the next update, but I couldn't see anything mentioning this in update notes. I bought HSF ships, because I love the anime, and I especially enjoyed the voice over for Graf Spee, however, I cannot anymore because of this annoying issue. Is there any way we are going to get any update solving this problem, because that would be really good. Plus I think it is not a good customer experience to sell customers something then in just a few weeks break it with an update, and I am extremely dissatisfied with it, especially after paying quite a lot for that content. Thanks in advance. I hope something can be done about it. Wellcome. I would like to raport two errors I have encountered in game. 1.) After update (I do not know which one, because I havn't playd long time) all objects in port are moving rapidly from it's positions with evry camera move. After each move all screen is blinking because of jumping objects like ship parts, landskape, other boats etc. It didn't happend in first open beta, so it seems to be relativly new problem. Inside of battle there is almost gone, but still in some moments I can still see something blinking, or shaking. 2.) Second problem seems to be something with memory I think. After first battle if I do not reload game it crashes almost evry time during second one. If not second one than in the beginning of third one. I can't see error message, because it is below hanged game screen which is still in fulscreen. Alt+tab doesn't shows it, so only methood is to run task manager with alt+ctrl+del and stop game process. Restarting game after evry battle is a "little" problem. I have 4 GB of RAM, so this shouldn't be lack of memory. Hola: Es más pataleta que otra cosa, porque ya he comentado este problema aquí (Inglés) , y hace tiempo aquí y también en español. El problema es el mismo, la conexión va bien, con ping y fps normales, pero el sonido se escucha con pequeños drops o microcortes. El barco tarda en reaccionar al giro, aunque veas en la pantalla el indicador que hace caso a tiempo. Cuando dejas de girar y el indicador vuelve a 0, pero el barco sigue girando y ves como derrapa en el agua. Otra característica es ver que el barco está por delante de donde tu lo ves, verás como te impactan proyectiles por delante de donde está la silueta de mi barco, donde yo solo veo agua y si caen en esa silueta, salpica agua y no hay daño. Por supuesto, los enemigos están por delante de donde yo los veo, les delata las animaciones de sus disparos y los impactos que reciben. Puedes empezar una partida y estar bien, y producirse esta desincronización a los 3 o 5 minutos de empezar la batalla. Obviamente jugar así es imposible, llevo 3 días que lo intento y solo me dan ganas de ejecutar el uninstall. Lo graciosos del caso es que llevo solo una semana jugando, desde que allá por marzo, WG quitase la compatibilidad con win XP Vista y no lo he cambiado hasta ahora. En toda una semana no me ha dado ni medio problema. Y cuando lo dejé daba ese problema de forma aleatoria unos días sí, una temporada bien... He probado un montón de cosas, lo único que funcionaba era salir del juego en medio de la partida y reiniciar el router. Aparte de ser un rollo, (lo normal es que te hundan, aún si lo detectas según empieza). Ahora ni eso funciona, en apenas unos segundos vuelve a pasar. Comentaban de desactivar el antivirus, pero nada, no ha funcionado. Aparte que reconoce el juego como tal y lo mete al saco de los programas que hay que dejar correr. ¿Algún aporte? Unable to sell ships with extra modifications. Wait... what? P.S. 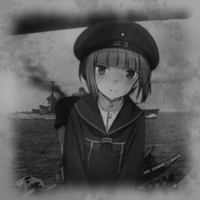 The "black" censorship is for the IJN flags that I'm not allowed to show on the forum, if the policy didn't change during the last weeks. Edit: I'm really dumb. Hi all, I'm new to the open beta but I have to report a weird issue in the game launcher (version 0.4.0.103886). After then i press "Play" when the game is loaded I have to type my email in the access form but I can't do it because the cursor delete suddenly part of the text I've typed. I've logged the game by typing my email in a txt file and copying inside the form by Ctrl+V. I had no problem with the password form. Sorry if this is posted in the wrong place, I'm new to all this forum stuff. Have been playing WoWS for a few weeks/couple months now without any issues whatsoever (Default settings, never change anything). That was until I logged in today and the mouse will not allow me to click on anything. The mouse works perfectly on any other program (including WoT) but once I have loaded the login page for WoWS I cannot click Login. I can, occasionally, press Enter to move to the Port Page (the main page once you log in) however this doesn't change anything as I still cannot click anything. It was working perfectly fine when I was online yesterday. I have had a look on Google (and these forums) but the only recommendations I have seen are all 'wait for patch' etc. Thanks for any help! Hi there, I'm just wondering if I have a bug with my WOW's account due to my personal cool down being more that 24 hours as it specifies on the screen. Instead It as on a cool down of 36 hours now down to 27 hours. This seems to either be a bug or a misunderstanding on my behalf. So i think i may have found the reason, or one of the possible reasons for the sound problems. AA and the small aircraft around you, everytime my cruisers AA starts pumping onto one or more squads or planes the sound becomes noise instead of regular aa chatter or gun chatter. This happens also when the secondary guns are firing and you have two or more ships involved. Hey guys when playing world of warships I ised process hacker to monitor the performance I saw that my gpu was at 0% is that a problem( btw my game is laggy). How do I fix this? Hello my fellow captains, with the recent changes to the mod-policy, an issue that has been present since the dawn of WoWS has risen to become a problem once again. Blur, WoWS has since CBT when i started, had a layer of blur on top of everything in the client. Blur causes a number of issues even for you who might not even have noticed it until now, i will explain further down the post. Until the ban of Reshade as a mod it was universally accepted as the solution to the issue of excessive Blur, to use Lumasharpen or other filters. Lets establish right away what im talking about for you who are not aware, this affects every level of graphics. Imgur's compression of high-res images adds JPEG artifacts sadly, images does not make lumasharpen screenshots Justice, refer to attached images or closer comparisons for cutouts to compare uncompressed screenshots. My graphics settings Vanilla Reshade + Lumasharpen Closer comparisons to outline differencies Lowest graphics settings Vanilla Reshade + Lumasharpen Closer comparisons to outline differencies My graphics settings with Aslains Fog remover Vanilla Reshade + Lumasharpen Closer comparisons to outline differencies If you cannot see any difference between the screenshots then rejoice! Also the last example is to show that the fog is in fact Not the cause of the Blur, the Blur applies to the fog as well, removing the fog gives a placebo that the blur goes away as its less slightly less noticable. Lets get another thing straight right away. Reshade+Lumasharpen was just a stopgap, a temporary user-applied fix until WG solves the core issue which hasnt even been brought up seriously yet, i wonder if they even are aware?. The reason to ban reshade is legitimate, Battlefield 3, PUBG an so on did get cheats injected through reshade even. and it shouldnt be unbanned, but WG must solve this issue of Blur now. This ever present Blur cannot be removed by any methods aside from Reshade, no graphics settings, no graphics control panel, no DSR or VSR, no monitor OSD settings. I have gone to lenghts trying to reduce the blur without injecting post-process filters. And i arrived at the sad conclusion. There is only one way to reduce the Blur on our end, and that is with post-process filters such as Lumasharpen. And only one way to do it sort-of without breaking the rules, HDMI/DP cables with built in post-process filters such as the 120 Euro mCable, but it has serious technical limitations, both to resolution and refreshrate. And is ridiculously expensive for what it is. The Blur is an inherent trait that WG has chosen to use, or neglected to remove for their titles using the Bigworld graphics engine. The cause or reason to implement a layer of Blur is only something WG can answer, which they have not due to lack of awareness. Blur usually is used on low-fidelity games to hide ugly graphics, however WoWS is a beautiful game, and the blur does the polar opposite, it hides how beautiful WoWS is, forces people to look at WoWS through a lens smeared in Vaseline. Some of you find the Blur hideous, others dont mind it. People like me with advanced motion sickness however become physically sick when trying to focus vision on something that is blurry, it causes eyestrain, headache, and nausea. For people like me, using Reshade was a requirement to be able to play WoWS due to the Blur. But even for you that dont suffer advanced motion sickness, you should feel the eyestrain, getting exhausted quickly when playing WoWS, you often get headache when playing WoWS and so on. Some blame the headache on the toxic community, but even here its the opposite. The strain on the eyes from trying to focus on something out of focus shortens peoples fuses, stress builds up, anger builds up. It affects people in negative ways without them realising it and turns people toxic. WG's Support claims that they cannot inform WG about the dawn of the apocalypse of Blur. Only the forum can, that is if any WG dev by chance reads it when the stars align and the red moon is out. Please help, the end is nigh.